When did Max Scherzer become the best pitcher in the world? It's time to face the facts: Max Scherzer is the best pitcher on the planet. It seems like every time he's on the mound, there's a tweet or At Bat alert or heterochromatic bat signal in the sky that the Nationals starter has 10 K's through four innings (he has 10 or more in 10 of his 15 starts in 2018). He leads the league in wins, complete games, innings pitched, strikeouts, K/9, HR/9, WHIP, FIP, DIP, DRIP and DROP [Note: Some of these are not real stats, but he's probably leading in them anyway, so we're leaving it]. But, when did it happen? At what point did Scherzer pass Clayton Kershaw, Corey Kluber and Chris Sale as the pitcher you want on the mound with your life on the line? Let's quickly review his career and take a look. 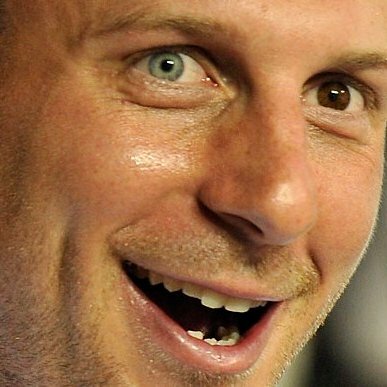 Scherzer finished the season 0-4 with a 3.05 ERA, and had a game against the Dodgers where he struck out 11 batters in 5 innings, but he was still very far from the Mad Max we know and are frightened of today. Cliff Lee, Johan Santana and Tim Lincecum were a few of the top starters in baseball at this point -- all better than Scherzer. For these four seasons, from ages 24-27, Scherzer was good, but not great. He went 52-38 with a 3.94 ERA, while averaging 191 K's per season, a 1.302 WHIP and 9.2 K/9. But, his K/9 did jump into double-digits (11.1) for the first time in his career in 2012 -- almost three whole points higher than the previous year -- and he surpassed the 200-strikeout mark for the first time (231). He would never dip below these levels again. Max was slowly, but surely, becoming Mad Max. Look at him totally befuddle a young, soon-to-be NL MVP Andrew McCutchen. Still, if you were starting a team during that time period, Roy Halladay, Felix Hernandez and an up-and-coming kid named Clayton Kershaw would be the guys you'd want as your No. 1. Scherzer wasn't even the best on his own team. That title belonged to Justin Verlander, who went to five All-Star games and won a Cy Young and MVP during those years. But, as even Nolan Ryan can probably tell you, wins and losses are a tricky way to judge a starter's success in one season. And, looking deeper into the numbers, there's a good chance you would've taken Kershaw (194 ERA+), Yu Darvish (277 strikeouts) and maybe Rookie of the Year Jose Fernandez over Scherzer at this juncture. Sorry, Max, we're just trying to get you madder. Scherzer led the American League in wins again (18) along with Corey Kluber, but all in all, this season was a setback for the former Cy Young winner's quest to become the best pitcher in the world. His ERA went from 2.90 to 3.15, his WHIP rose to 1.175 and his H/9 and HR/9 both increased. Meanwhile, Kershaw somehow put up an even better campaign that year and one of the best in recent memory. Kluber had his coming-out party to win the Cy Young, and King Felix posted baseball's lowest ERA (2.14) in more than a decade. It's 2015, and Max got mad. After signing a mammoth deal with Washington, Scherzer put up his best ERA (2.79), most strikeouts (276) and lowest WHIP (0.918) in his career up to this point. And even though Zack Greinke (1.66 ERA, 222 ERA+), Cy Young Award-winning Jake Arrieta (1.77 ERA, 215 ERA+) and Kershaw put up historically dominant seasons, Scherzer put together a mind-boggingly amazing stretch. The second no-no produced a Game Score of 104 -- the second-highest all-time, only behind a Warren Spahn no-hitter in 1960. It was hailed as one of the best games by a pitcher ever. He became the first hurler in baseball history to have two Game Scores over 100 in one season (his one-hitter was an even 100). He also joined Spahn and Nolan Ryan as the only pitchers since 1918 to have a season of three Game Scores of 95 or higher. All this right here -- the streak in June and this performance closing out the '15 season -- were the jumping-off points for Scherzer placing himself into the conversation as best pitcher in the world. Mad Max reinforced his desire to be the best pitcher on the globe by taking home back-to-back Cy Young Awards in '16 and '17. Kershaw was still great, but unfortunately, often injured. Kluber was also excellent -- especially in '17 -- but Scherzer had a higher K/9 (12.0 to 11.7), more strikeouts and with each punchout, he brought an intensity unrivaled in the game. If you wanted to win, you wanted him on the mound. You needed him on the mound. Look at this man. He's possessed -- he is full-on Mad Max. Between his back-to-back Cy Youngs, his burning desire to strike out every human being set before him, his dominant performances day after day and his ability to stay healthy -- it's hard to think there's anybody better right now. It's funny to think that 11 summers ago, he was pitching in front of hundreds of fans on the Indy league circuit. How much greater can Scherzer become? How much madder can Max get? Only time will tell.